As I settled into my insanely uncomfortable seat on the 10:41 from Oxford to London Marylebone a lot of ‘what ifs’ started to rattle through my mind. All complete nonsense, of course. But until you’re there and you can physically see the venue, the setup, the lighting, the artwork and most importantly the game in action; it’s hard to remain calm. Time ticks by and before I know it I’m in London and have tube’d my way across town to Hackney. After a brief moment of confusion on how to access the venue (a TV ad was being filmed upstairs and we were locked out) we entered the venue, where we were greeted by 6v6 multiplayer units, 12 single player setups a stage for a brief presentation and demo and an interview room for the media to quiz Rushy, Jamie and Alex on all things ONRUSH. So with setup all but complete there was only one thing for us all to do. Go head-to-head in a multiplayer bout. We spent the next forty minutes crashing, smashing and swearing at each other. No one wanted to leave the venue a loser. But that’s what is so special about ONRUSH. Yes, mathematically you can lose, but you’ll always feel like a winner no matter what. Needless to say, every single person walked out of the venue with a smile from ear-to-ear. The following morning the anxiety that was ever present the day before had all but vanished. I woke up excited, optimistic, perhaps even confident that the game everyone has been working so hard on would garner a positive response from the media. Coffee slurped and pastries devoured, it was now time to sink or swim. The morning session was about to begin. (Didn’t mean to rhyme there). Once the media were settled in Rushy took them through a brief presentation, which outlined what ONRUSH is all about, and what game modes they would be playing. Frantic scribbling, furious typing and head nodding ensued, but you could see that everyone was just itching to pick up a controller and get playing. And play they did! In fact, the media enjoyed causing havoc in Overdrive and Countdown so much that some didn’t leave any time to interview Rushy, Jamie and Alex. Thankfully, however, they all left with hours of capture to snip into awesome videos for all of you guys to see! Some members of the press even stuck around during lunch (freeloaders!) and attended the afternoon session, too! All in all, I think I can safely say that the event was a success, because everyone at the event seemed to ‘get it’. It’s difficult to convey just how different ONRUSH is through trailers, blog posts and gameplay footage. You really do need to dive in and get hands-on to truly understand how ONRUSH works, which you will all be able to do VERY soon during the open beta in May. 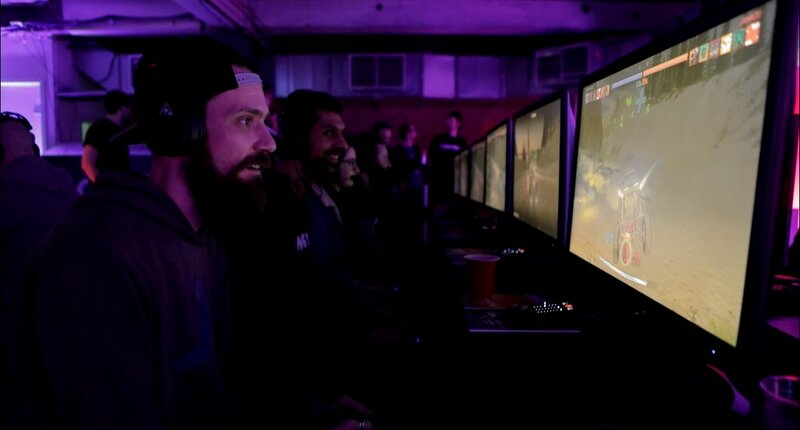 My personal highlight of the event has to be the multiplayer madness. Where tactics, taunts and tantrums were the order of the day. 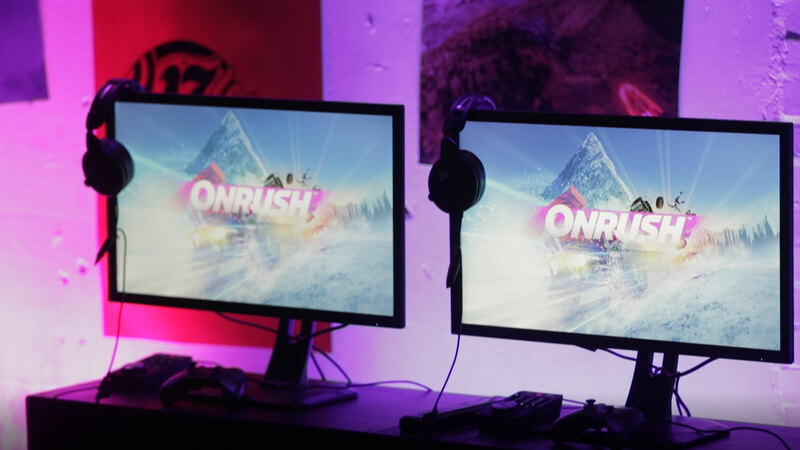 We welcomed guests and media from all over the globe, and no matter what their native language, they all spoke the language of ONRUSH. So, what next I hear you cry. Well, how would YOU like to get hands-on with ONRUSH? 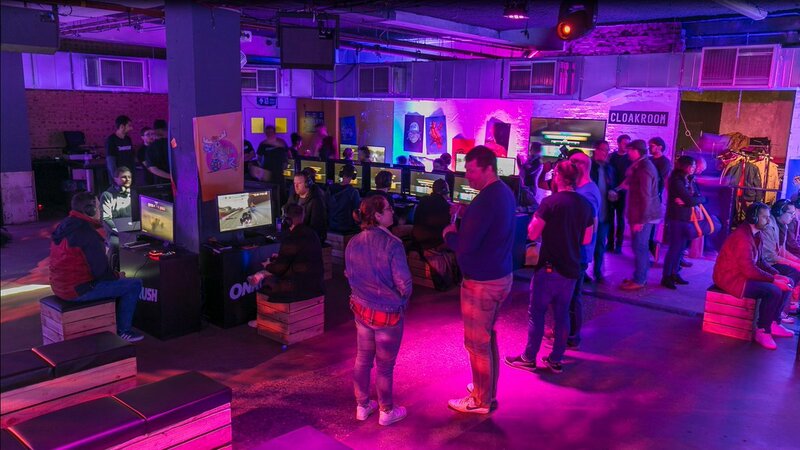 We’ll be at EGX Rezzed in London from April 13-15. 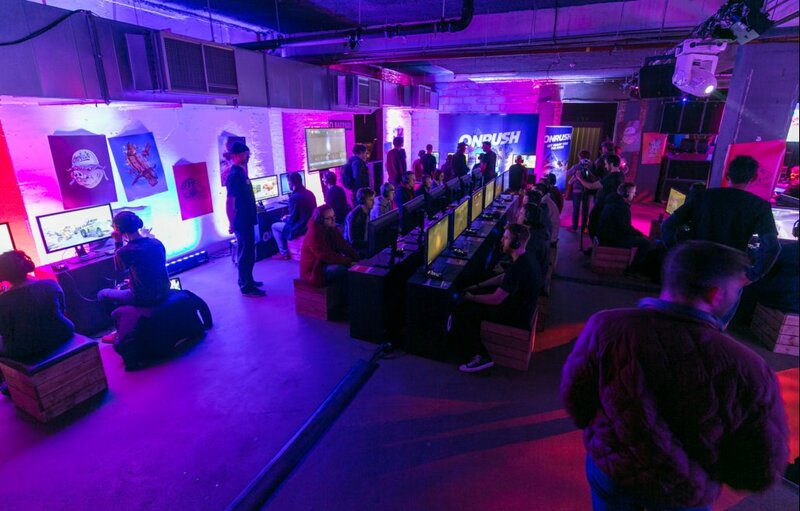 So you can come down and experience ONRUSH for yourself! Hopefully I’ll see some of you there!